Home / Food and Wine / Is India The Next Fast Food Nation? Is India The Next Fast Food Nation? As a personal participant in this change, you’re no doubt aware that fast food is becoming the new norm in fast-paced India. No time to cook? No problem. Truly a global marketplace, you’re welcoming international chains with open arms. You, and the rest of the young, upwardly mobile population. Chances are, you’ve watched firsthand how the landscape has transformed so dramatically over the last few years, with the advent of many more choices: Taco Bell, Krispy Kreme, Burger King, McDonalds, Dominos Pizza and Pizza Hut. All are now fresh new lunch and dinner ideas to satisfy your craving. At first these fast food chains might conjure up an American city, but no, India has been tapped as the next growth market. And it makes sense: with spending power increasing, and more people, particularly women, entering the workforce, fast food is a welcome solution. Plus, with increased exposure to international cuisine through media and travel, the palate for new tastes has become more versatile. India is the envy of many—it has a young age profile (about 65 percent of the population is under 35), and many more people are eating out. With the burgeoning middle class, people are demanding more variety and quality: global influences are changing the choices people make in what they wear, the music they listen to, as well as the food they eat. No doubt, you have anecdotal stories that show the evolution. In fact, new tastes are all the rage in India! The younger generation, experimental in nature and new to consumerism, are trying new things. Chain restaurants are expected to grow from $2.5 billion in 2013 to $8 billion in 2020, driven by the growth of quick-service, or fast-food restaurants, says a New York Times blog on the growing appetite for American fast food in India. To give color to this figure and its importance, the fastest growing market for Dominos Pizza is India. Not surprisingly, nearly 40 percent of the people eating out are young adults, says Mr, Jatia, recognized by Forbes Magazine as a fast-food tycoon. Young professionals living and working in urban India are very much like their compatriots in other parts of the world, who don’t have time to cook, or no desire to cook. In the past, fast food restaurants in India were used for special occasions and celebrations, but now they’re becoming part of the fabric of everyday life. The transition hasn’t been subtle, and some of the older style restaurants have taken note. The older traditions do continue, yet the newer generation is enjoying fast food far more often than their parents, and young professionals have the disposable income to enjoy a pizza delivered from Dominos. These days, in many food courts, you can sit next to people noshing on traditional Indian dishes, such as seekh kebabs, dosas and biryani, according to CNN. Yet, there's something for everybody — at many tables three generations are sitting down together. Consumers can enjoy some of their city’s most famous restaurants—some of them a century old—transformed by the uniforms and chrome kitchens that are the signature of fast food. Traditional restaurants are taking a page from the fast food restaurants. Conversely, many of the fast food chains have redesigned their menus to meet the needs of the Indian palate. The pizzas are in a wide range of traditional Indian ingredients and spices, such as the Dominos Keema Do Pyazza pizza with onions, spicy minced goat meat and jalapenos. 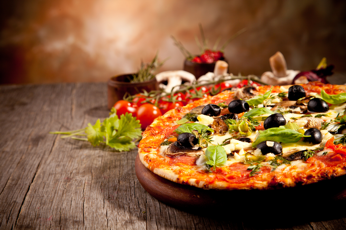 If your mouth is watering you can now instantly order online and have that pizza delivered! Welcome to the future of Indian fast food. Online food delivery service is a growing industry in India. And while you’re online, do a search for coupon codes for Dominos Pizza and save some money. Not surprisingly, the younger generation that is flocking to the fast food chains is also liking them on Facebook, to the tune of 6.1m likes! 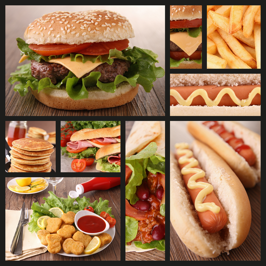 So now you can “like” your favorite fast food chain, and order online. Rather than just phoning in an order, the online menus are gastronomic visual delights that display all of the selections, from main course to dessert. A recent Dominos quiz asked: Which is your favourite crust? A. Cheese Burst, B. Fresh Pan, C. Classic Hand Tossed or D. Wheat Thin. Cheese Burst was the early winner. Other commenters liked the BOGOs and the savory desserts, such as the choco lava cake and the butterscotch mousse cake.